Send flowers for UK flowers delivery from the finest online florists - Send Some Flowers. Want to send flowers? 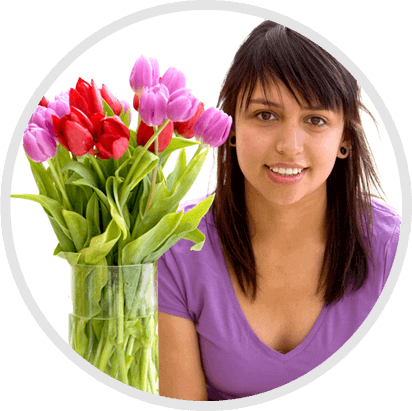 At Send Some Flowers you can compare flowers from the finest online florists, and use voucher codes on your flower deliveries. You'll find flower arrangements, baskets, bouquets and hand ties from the finest online florists. You can see what other people are buying, and you can write reviews of the flowers you buy. If you're in a hurry, try these next day flowers or same day flowers, if you order before 3pm you can get them delivered tomorrow. Learn handy tips about when the best time to buy flowers is what certain flowers mean. Voucher codes (or discount codes) are a great way to save money when buying flowers online. Want to tell someone else about this (or drop a hint?). You can send this page to a friend. Please add Send Some Flowers to your favourites so you can visit us again quickly and easily! Copyright © 2019 Send Some Flowers. Email info@sendsomeflowers.co.uk.